1. What Is Alzheimer’s Disease? Tags a memory, aging, alois alzheimer, alzheimer, amyloid plaques, b12, b12 deficiency, beta amyloid, blood pressure, brain, cardiovascular, cardiovascular risk, cardiovascular risk factors, causes of dementia, cerebral cortex, cholesterol, cognitive impairment, creutzfeldt jakob disease, cure for alzheimer, dementia, depression, digestion, ears, entorhinal cortex, Forgetfulness, forms of dementia, frontotemporal dementia, health, high blood pressure, high blood pressure and, hypothyroidism, inflammation, major depression, mci, memory, memory loss, mild cognitive, mild cognitive impairment, mild cognitive impairment mci, mixed dementia, mood, neurofibrillary tangles, normal pressure hydrocephalus, nutrients, oxidative damage, personality, protein, short term memory, stroke, symptoms of dementia, the memory, types of dementia, vascular dementia, vitamin, vitamin b12, vitamin b12 deficiency, what are plaques. 4. Who Is at Risk for Alzheimer’s Disease? 5. Can You Reduce Your Risk for Dementia? I thought you might be interested in this article on https://universityhealthnews.com: 1. 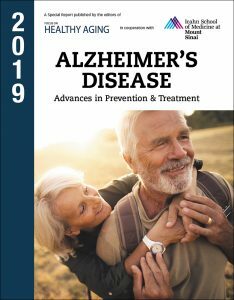 What Is Alzheimer’s Disease?